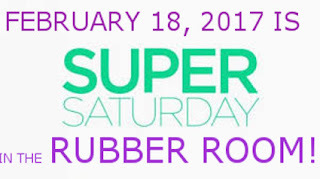 Rubber Room Ramblings: DON'T FORGET TO RSVP FOR SUPER SATURDAY IN THE RUBBER ROOM! DON'T FORGET TO RSVP FOR SUPER SATURDAY IN THE RUBBER ROOM! COME KIT WITH ME: Put together the Birthday Bright Project Kit, which includes 12 cards (4 each of three designs) and 12 tags (4 each of three designs), plus a gorgeous box to keep your creations organized in. Cost of the class is $35 and includes your Birthday Bright Project Kit. COOL, CUTE AND CREATIVE: Make six cute cards using the Cool Treats Stamp Set and Framelit Bundle AND make a box to put all your cute cards in. This makes a gorgeous gift or just the perfect spot for you to keep your cards. 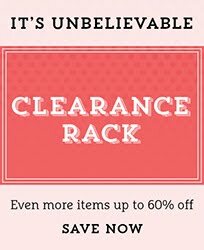 Cost of the class is $65 and includes the Cool Treats Bundle, a spool of Flirty Flamingo Ruched Ribbon AND your choice of any Sale-a-Bration Catalog item. FREAKY FUN FOLDS: Time to mix it up and learn six great new folds that will add a little punch of fun to your cards. Cost of the class is $25 and includes all six cards PLUS the tutorials for all the cards you make. SERENE SCENERY STACK: This is a breath-taking stack of Designer Series Paper that makes the most beautiful quick and easy cards, as well as 3D items. In this class we will make a 2017 calendar and four simply elegant cards all using this wonderful Designer Series Paper plus a little bag to put them all in. Cost of the class is $20 and it includes a Serene Scenery Stack for you to take home so you can easily recreate these cards over and over again. SUPER SATURDAY STAMP-A-STACK: Stock up on those birthday cards! This Stamp-a-Stack features four beautiful birthday cards. You will make two of each design, for a total of eight awesome birthday cards to add to your card stash. Cost of this class is $20. 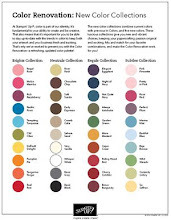 Take one class or mix and match your favorite classes. Sign up for all the fun of Super Saturday and take all five classes for only $150 (that is a $15 savings). Or take advantage of SUPER SATURDAY SUPER SAVINGS by joining my Rubber Room Ramblers Stampin’ Up! Team and ordering the Starter Kit for only $99. 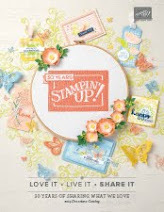 When you order the Starter Kit during SAB, you get to pick $125 worth of wonderful Stampin’ Up! merchandise, plus add two more stamp sets of your choosing to your kit (and it ships to you for free) AND you can take the Freaky Fun Folds Class AND the Super Saturday Stamp-a-Stack Class for FREE. That is an additional $45 in classes for FREE. Classes will fill quickly, so be sure to RSVP today! RSVP BEFORE MIDNIGHT ON FEBRUARY 12TH!! FULL PAYMENT IS DUE WHEN YOU RSVP!